I have been taking Hairfinity Hair Vitamins for the past couple months. Now, I am a forgetful sort, so I did not take the dietary supplement everyday. I would say I actually took them 3-4 times a week. Do Hairfinity Hair Vitamins Work? Amazingly, even in this relatively short time and with me taking them sporadically, I did notice a difference in my hair. I hate to admit it, but I realized the health and growth speed of my hair had improved, because I had to color my roots more often. Mind you, I am not complaining. I prefer a few extra touch-ups, and healthier hair. My hair isn’t actually much longer, since I have been taking advantage of the growth to trim off a little of the less healthy ends, while maintaining my hair length. Here are the results some ladies have had with these hair vitamins. There are many more on the Hairfinity website. Hairfinity is used by Kim Kardashian, Khloe Kardashian, Taraji P Henson, and more. If you are looking to improve the overall health of your hair, Hairfinity Hair Vitamins are a terrific way to help reach that goal. There are no weird ingredients, and the vitamins in this dietary supplement are good for you in general, not just for your hair. I would also try an omit some of the harsher chemicals from your hair care routine, so the new healthy hair you are growing is not damaged by them. With this 1-2 punch, you are sure to see a lovely difference. New Year’s is right around the corner. 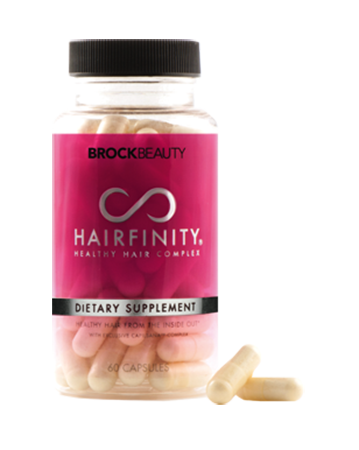 Why not resolve to have healthier hair in the coming year, with Hairfinity vitamins. It is certainly an easier resolution to keep than the ones we usually make.